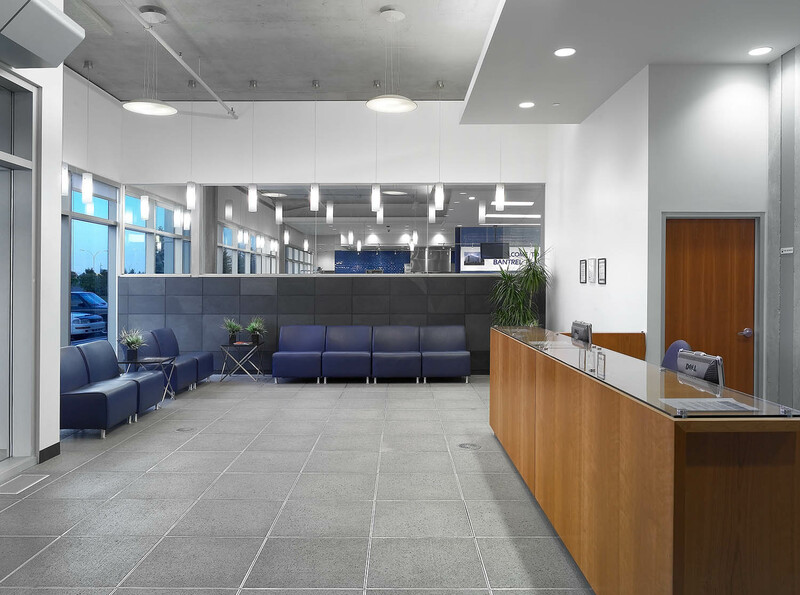 Located in Calgary Alberta and completed in 2009, Glenmore Professional Centre is a world-class business environment that goes beyond the performance of the traditional office building. NorthWest Value-Partners approached Sweeny&Co to design this 144,000 s.f. office building just outside of Calgary’s downtown core. 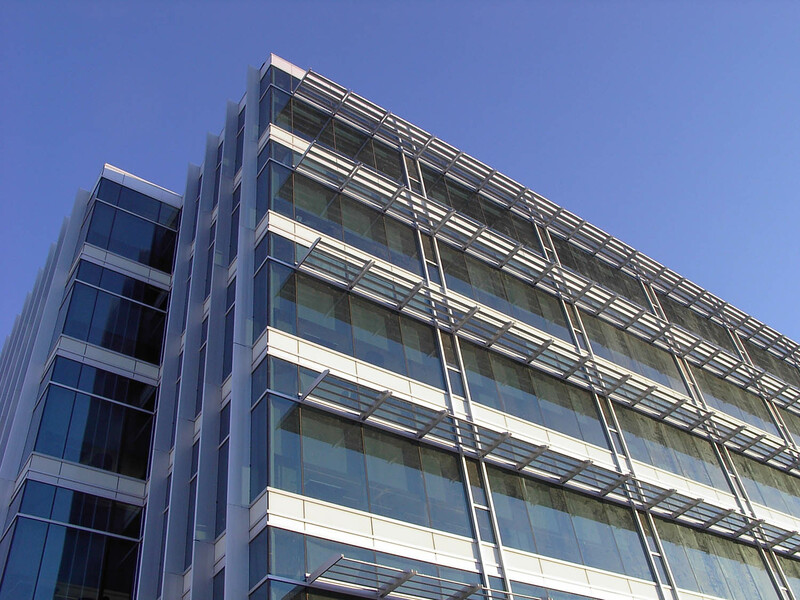 To bring to market a new working environment that provides economic use of real estate drives down occupancy costs and enhances productivity. Glenmore Professional Centre is also a response to new and critically important business requirements including increased human comfort, future flexibility, green value; and positive brand reinforcement. 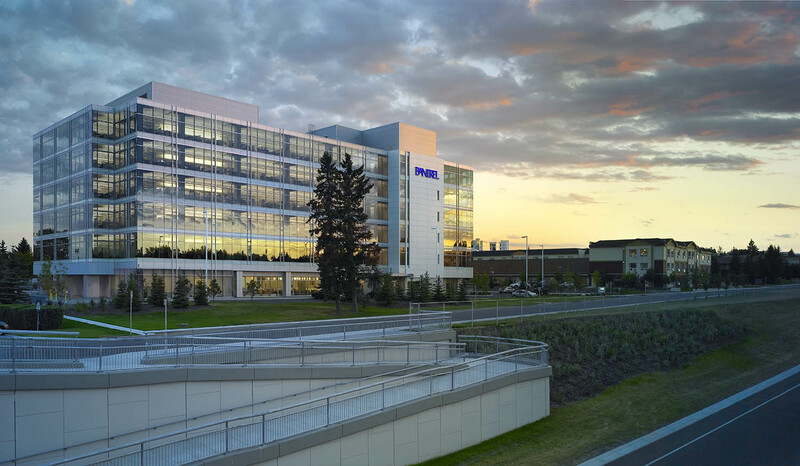 Situated on 3.5 acres of land on Glenmore Trail, this six-storey development “…is a state of the art building that has attributes not yet seen in Calgary,” says Paul Dalla Lana, president and founder of Toronto based NorthWest, Canada’s largest non-governmental owner of healthcare facilities. 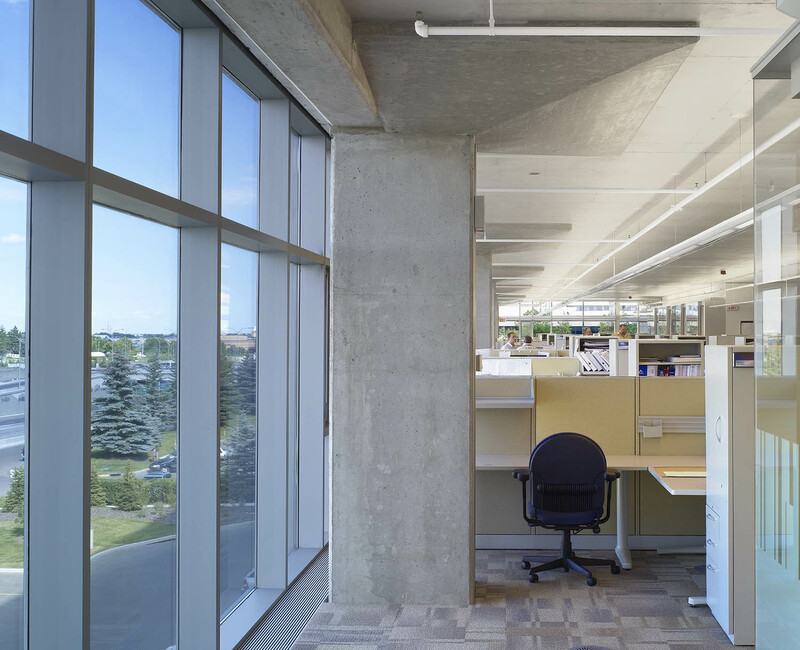 Working with local firm Marshall Tittemore Architects, Sweeny&Co incorporated a long list of high-performance features in the Glenmore Professional Centre including: daylight harvesting to maximize light deep into the interior and minimize glare, horizontal and vertical exterior sunshades, light shelves, higher reflective ceilings, and automated interior blinds. 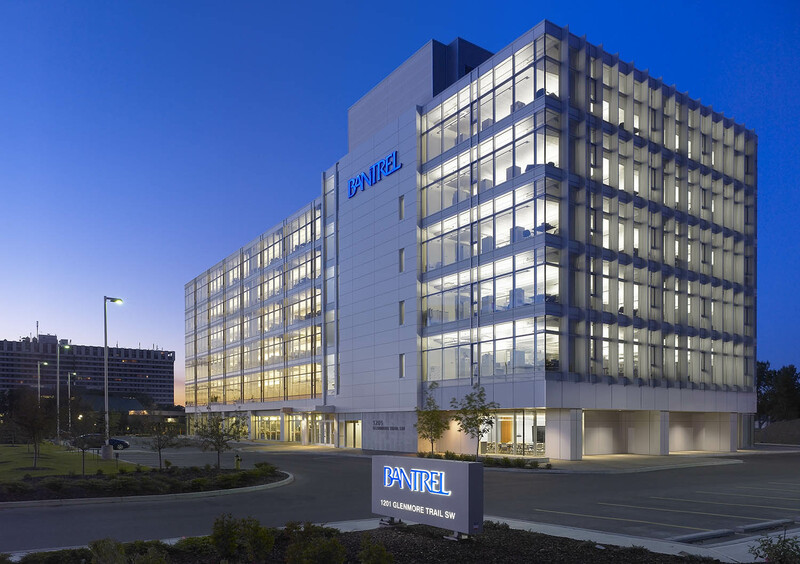 Its occupants enjoy better air quality and circulation, provided by the raised floor that replaces all overhead HVAC and ductwork, and more efficient HVAC mechanical system, as well as operable windows every 6 metres around the perimeter. 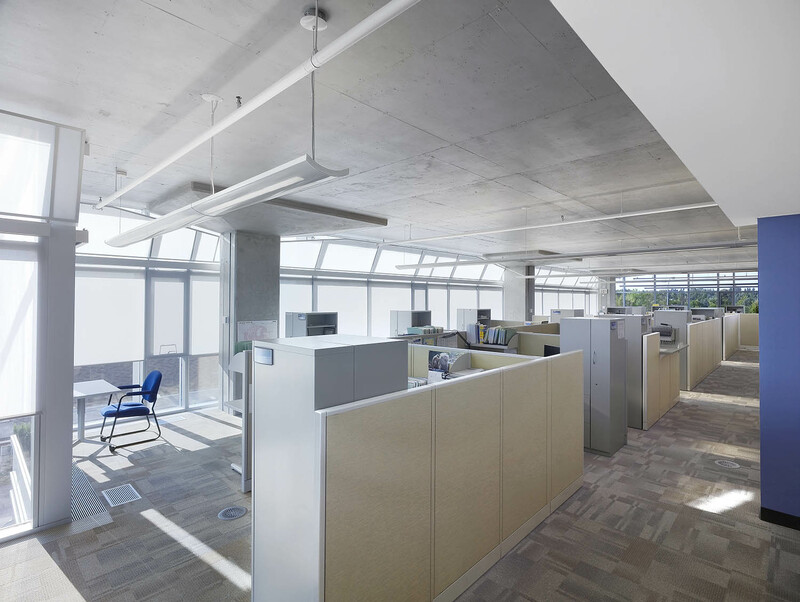 Dual cores provide great potential for open office plan configurations that encourage team building and employee efficiency, in a workspace that optimizes for shared views and light.